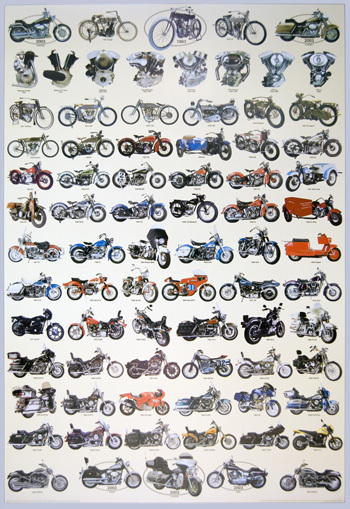 I made my first historical Harley poster back in 1982, and it has long since become a collector’s item. 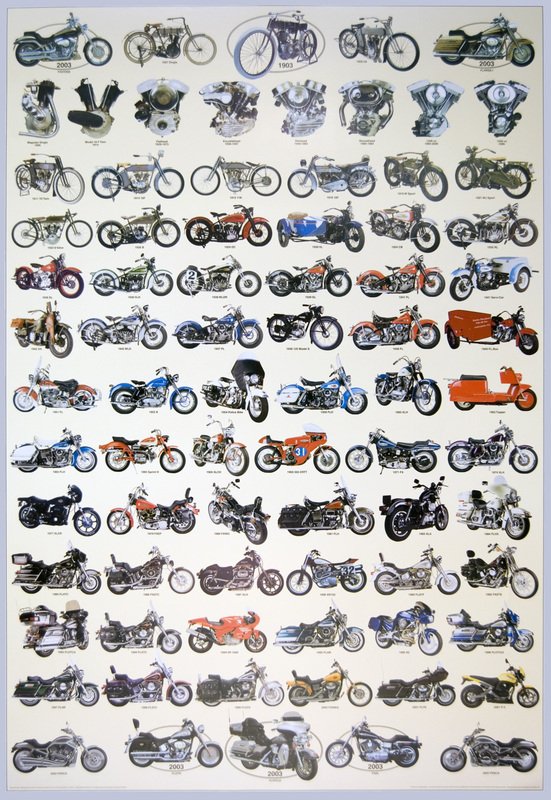 The “Happy Birthday” poster you see here contains 70 great bikes along with eight engines. It became our most successful poster and continues to bring smiles and finger pointing wherever it is displayed. 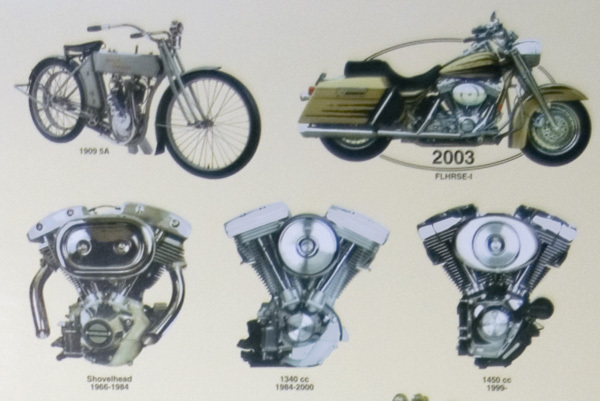 All bikes are in full color. This poster is printed on very heavy 100 lb. Gloss enamel. "Since 1968 Thanks To You!"